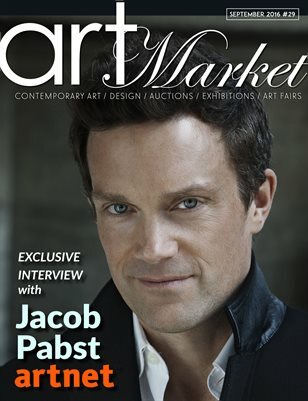 We are very proud to present this month's issue, featuring an exclusive interview with Jacob Pabst, artnet CEO, one of the strongest and innovating companies in the online art market field today. In this issue you will also find art fair coverage, recommendations for exhibitions worldwide and auction results. And of course, as always, we feature articles and interviews with emerging & well known artists from all over the globs. Enjoy!